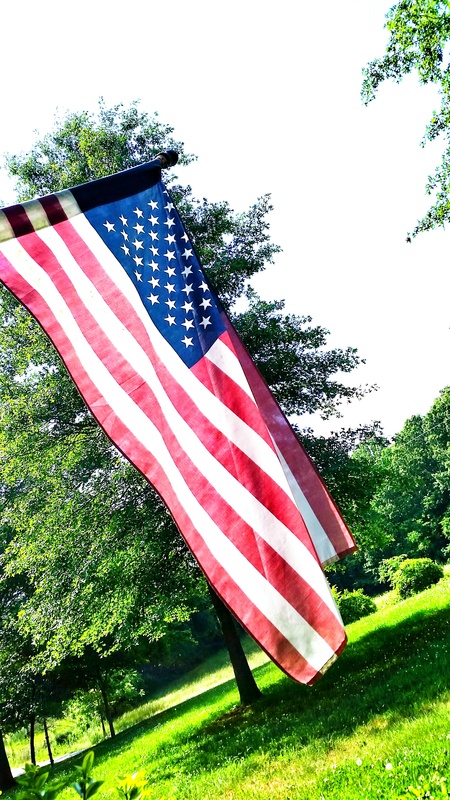 We’re in the midst of a lot of traveling to spend quality time with family spread out all over these great United States, and before I go any further, I just want to pause a second to say, “Thank you,” to all of the men and women who have fought for our freedoms. For those who have paid the ultimate price by laying your lives down for us, I pray we never forget your sacrifice. To those who have returned from battle weary, worn, scarred and struggling – I pray for your peace of mind, and once again, I thank you for your sacrifice. I pray for our Country, for her leaders, for peace and that we should always be the land of the free and the home of the brave. I hope that today, on this Memorial Day, you pause to reflect on what this day means. I hope that you pray for the fallen, the wounded, our beautiful United States of America, and our leaders. 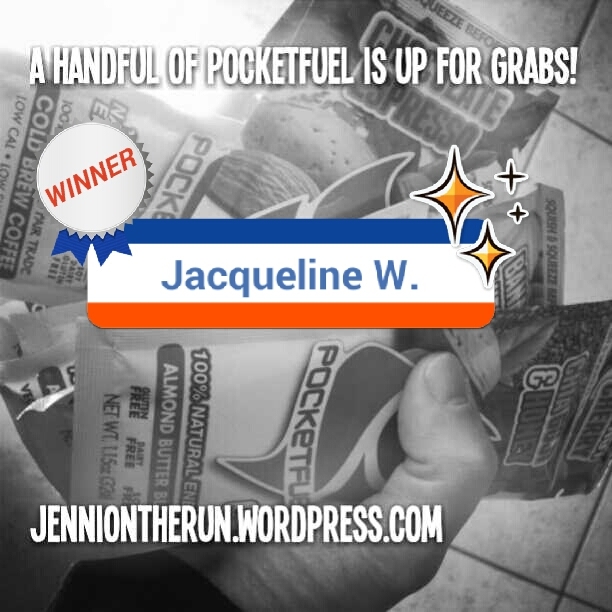 The winner of the the FUEL THE FIRE Giveaway – Jacqueline W.!! I hope you enjoy your goodies!! 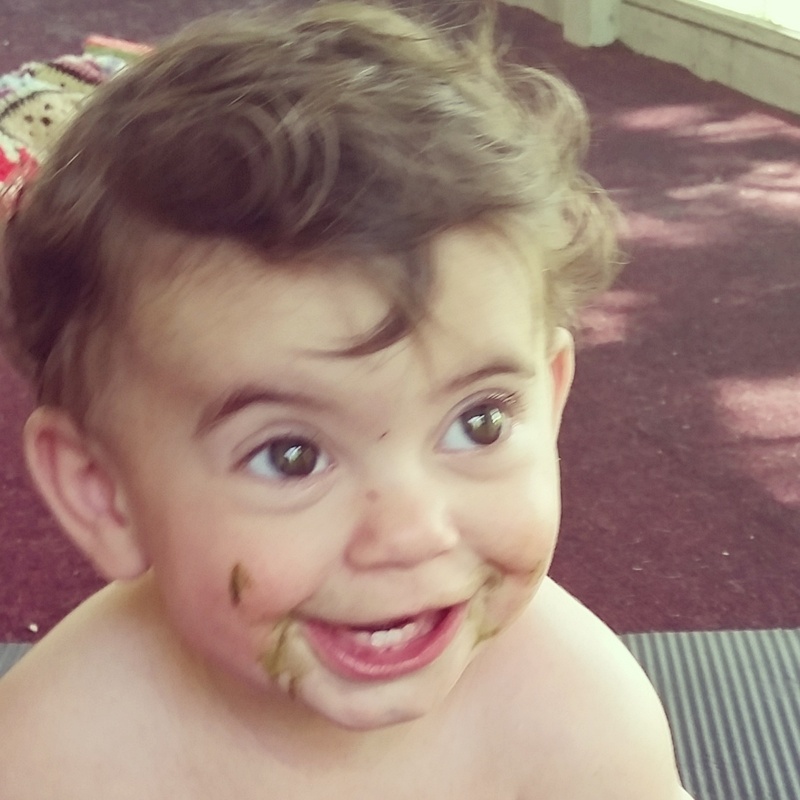 #PoweredWithBits Smoothie Recipe – Kid-tested, Mother Approved! 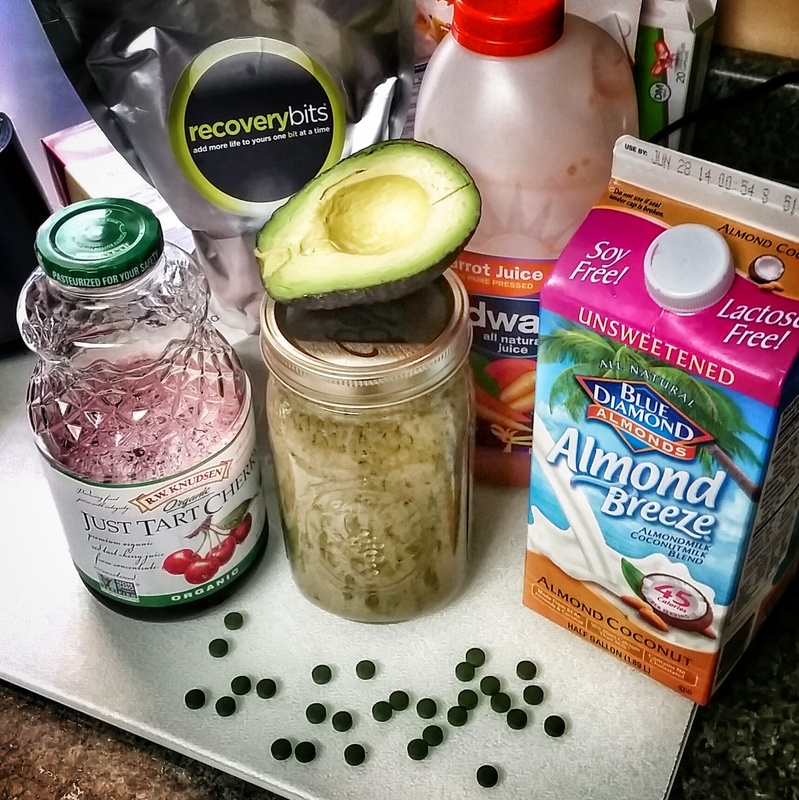 This past weekend I decided to make a smoothie with RecoveryBits to help ward off another round of impending sickness. Baby Girl had a snotty nose and a cough, and The Hubster wasn’t feeling 100%. I was feeling good, and wanted to keep it that way. Baby Girl isn’t quite yet 11 months old, and though she does have several teeth and eats pretty much EVERYTHING, I was nervous that she might choke on the algae bits, due to their size. So, I decided a smoothie would be the best way to get them in her and I ransacked the kitchen for some tasty ingredients. I came up with what you see above. Hubster didn’t even taste it. Baby Girl and I have been as healthy as horses all week. Poor Hubster has been down for the count, terribly sick all week. Now, I’m not into Snake Oil and such, and I’m not saying taking the bits would’ve prevented him from getting sick. There are many factors that lead to illness. He comes into contact with many more people in a day than I, which puts him at greater exposure to pathogens and viruses. His job is more stressful than mine, which leads to a depressed immune system. Improvements in diet and exercise can help to overcome those stressors, though, and this is where I believe ENERGYbits and RECOVERYbits play a role. 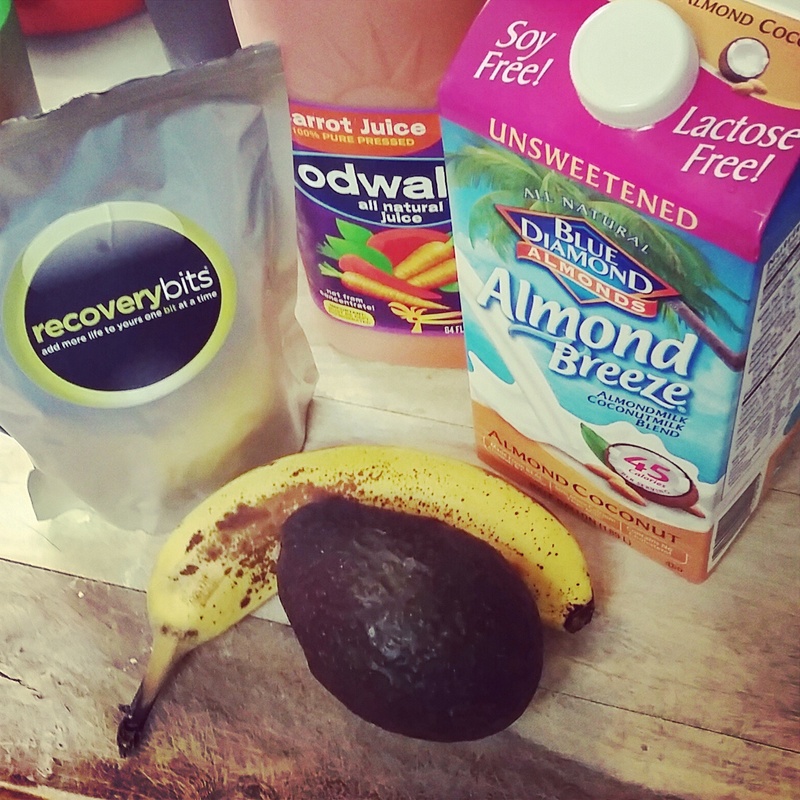 So, here we are at the end of the week and my #PoweredWithBits Smoothie of the Day is slightly modified. I had no bananas, so that didn’t make it into today’s recipe. I did have organic cherry juice, and I love the tart kick that it adds! Baby Girl really loved this one, too. 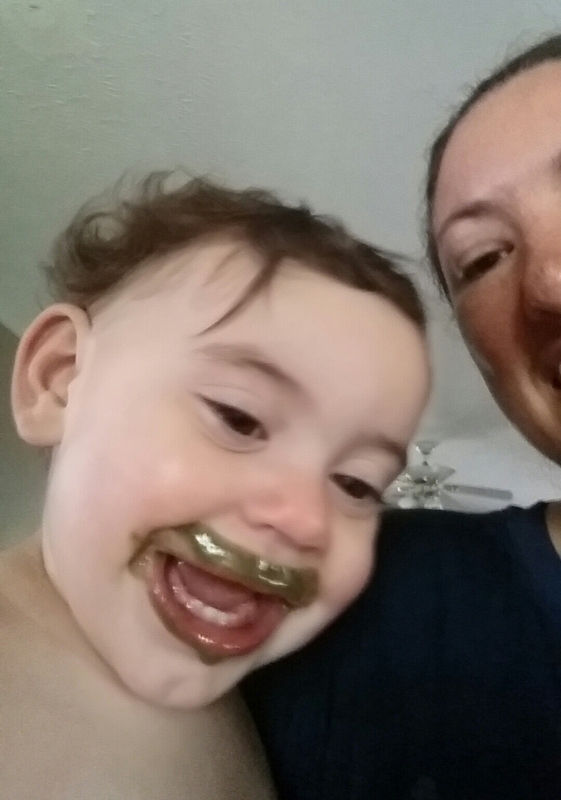 She gulped down a half of a sippy cup (without the lid… it’s too thick for the lid) at once! Pulse in blender. Pour into Mason jar for an on-the-go treat! Pour some into a sippy cup for the baby and watch her SMILE! 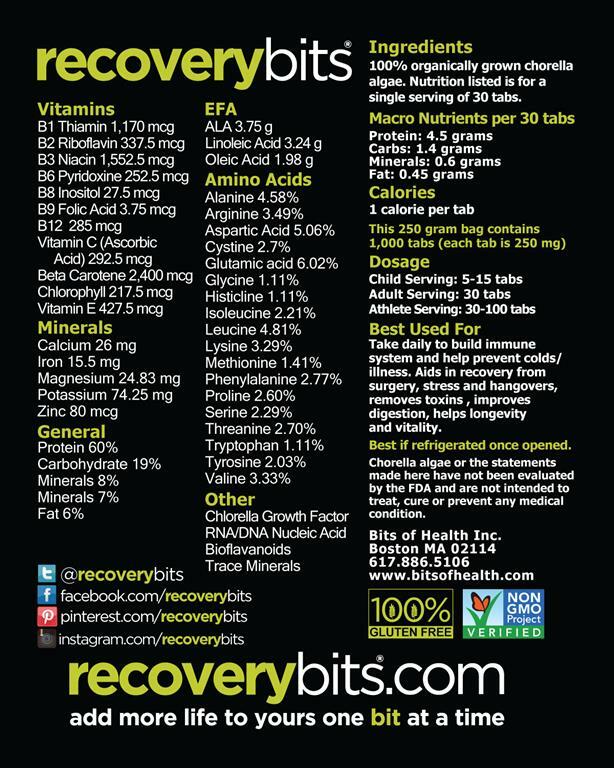 Want to give ENERGYbits a try? 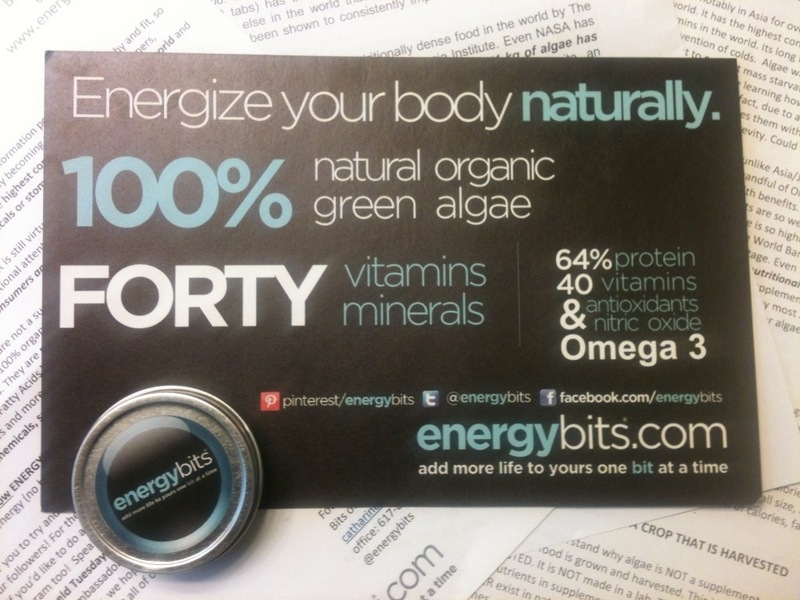 Checkout my giveaway for a chance to win an ENERGYbits sample, a PocketFuel sample, and a SpiBelt! To practice yoga is to practice the art of letting go. Let go of expectations. Embrace what is. Reach for what can be. Little did I know that when I embarked upon this yoga journey in January that it was to become another lifestyle change. 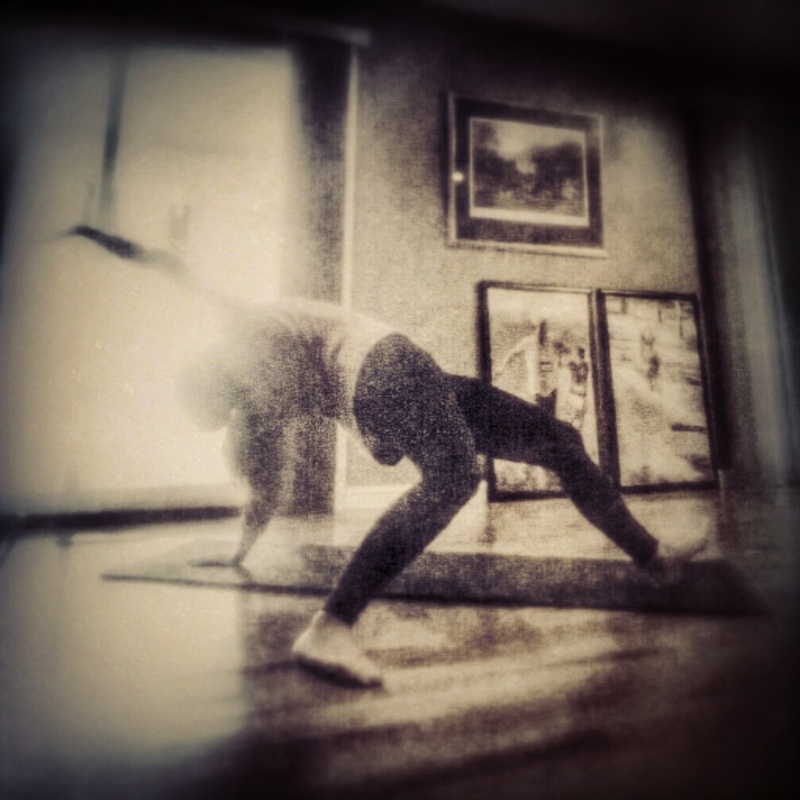 It took many years for me to come to yoga because I had this preconceived notion that it was all about holding a pose. Little did I know that there are MANY types of yoga, and now I’ve come to realize that while I still know very little and have so much to learn, yoga is PLAY. It’s flowing, moving, breathing, accepting, embracing, living and loving. To practice yoga is to live in the moment. 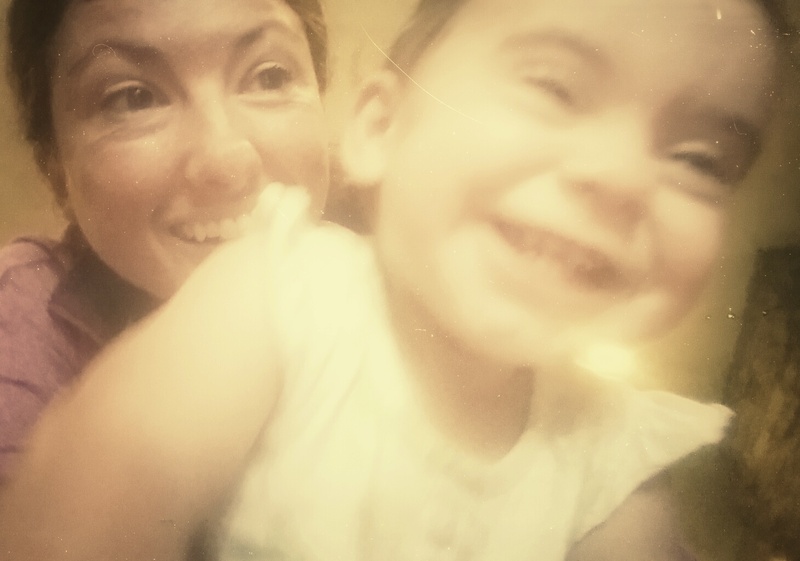 And there has been no greater teacher of this wisdom (and source of inspiration) than my own Great Bambino Yogi, Baby Girl. This kid never ceases to astound me. I could brag for hours, but I’ll spare you. Let me just say this… she wakes up doing her own little yoga flow. Throughout the day, she can be found randomly dropping into a myriad of poses and sequences. When I roll out my mat, she drops into different variations of Downward Facing Dog underneath me. 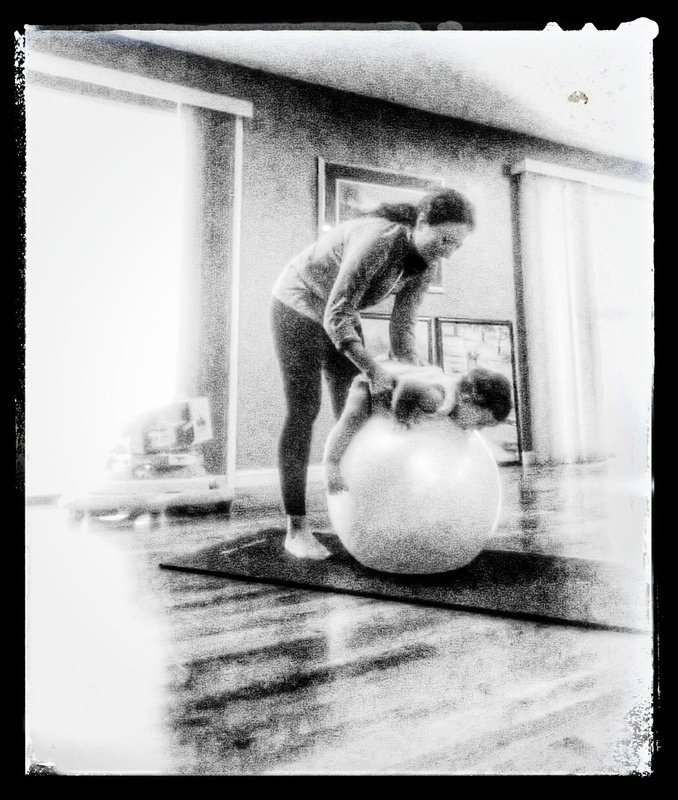 She loves inversions and playing on the stability ball. Just as often as she imitates me, I attempt to imitate her. Sometimes you just have to stop, drop & selfie! I promised back in March that I would be offering a giveaway, and then all of my plans got derailed by sickness. But, the day has arrived – FINALLY here it is! 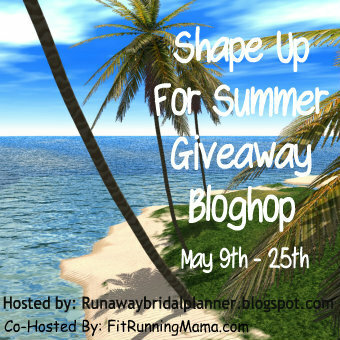 I’ve teamed up with a great group of bloggers in a giveaway bloghop. This gives you so many chances to win a LOT of great prizes. It’s pretty simple, too – when you’ve finished entering the giveaway I’m offering here, just scroll to the bottom of this post and you will see the list of bloggers that are participating in this bloghop. Click on any one of them to go on to another great giveaway! Now, on to the prizes up for grabs… I’m giving away a nice little package to help you FUEL THE FIRE! A handful of PocketFuel samples! YUM! and also like to be #poweredwithbits. I often use PocketFuel when I skip lunch to run or workout, and ENERGYbits have been a great source of long-lasting energy during long days and hard runs. ENERGYbits most recently carried me through a taxing 24 hours filled with mommy-duty, working overtime through the night, and leaving straight from work to drive in a kart race, the Mini Corvette Challenge. You can catch that action on my youtube channel – Jenni On The Run. 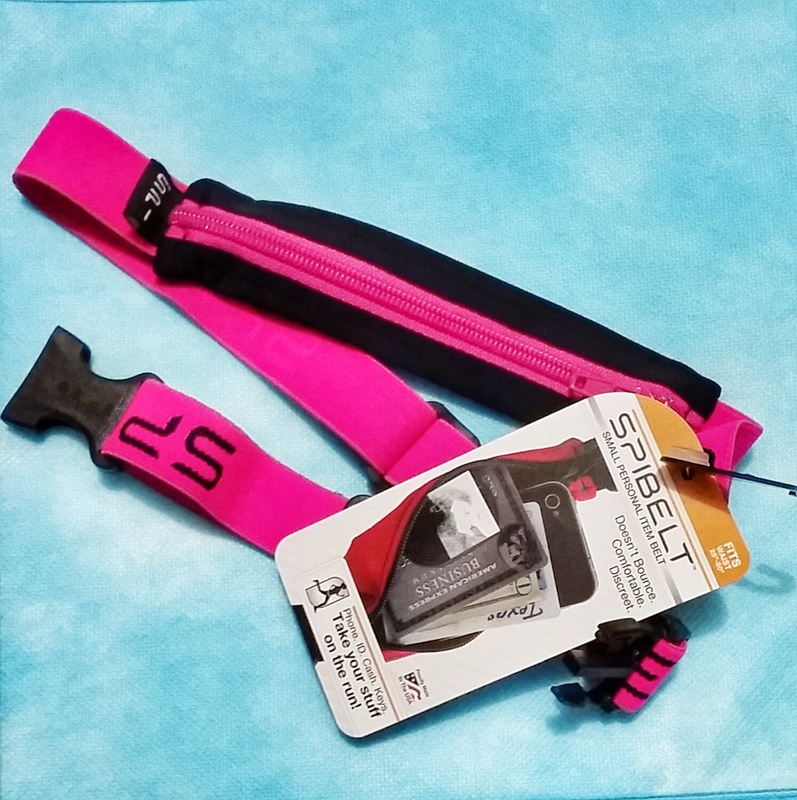 I’m adding a lovely pink SpiBelt to the mix! You can read my review of PocketFuel here and my review of ENERGYbits can be found here. Since posting those reviews, I’ve had many more opportunities to use PocketFuel, and I must say – I’m addicted. 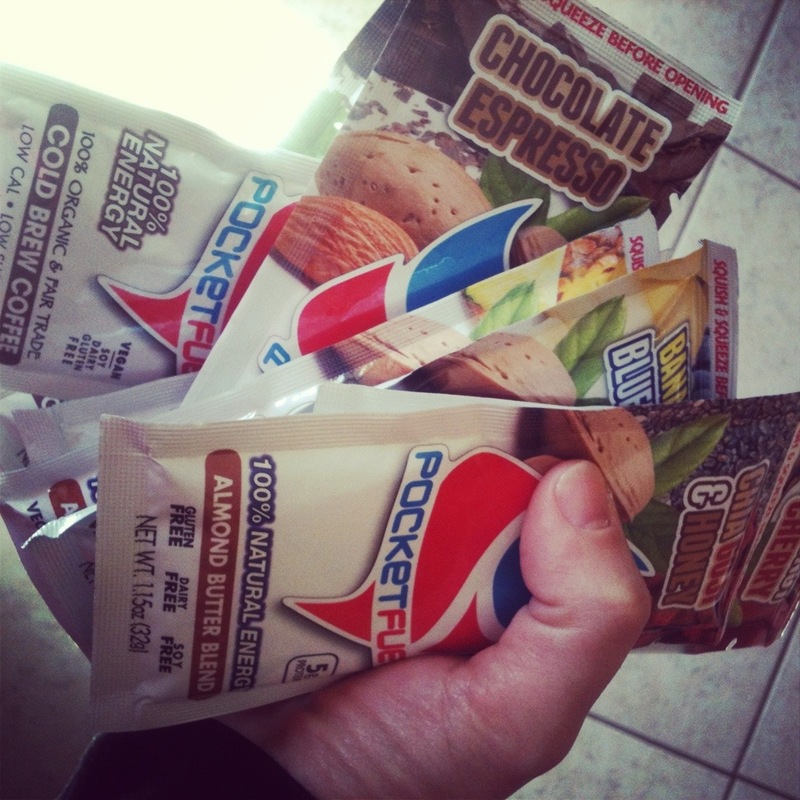 I fueled solely with PocketFuel during my first marathon and I felt FANTASTIC throughout. I do wish I would’ve had some ENERGYbits with me for that race, though, to bounce back more quickly from soreness. Just as I wish I would’ve had some RECOVERYbits back in February/March to boost my immune system and possibly prevent those tortuous weeks of infirmity. Oh well, what’s done is done. At least I am now well stocked with both ENERGYBits AND RECOVERYbits! And when you’re done, come back to hop on over to all the blogs listed at the Linky Tools link below to enter to win more great goodies!